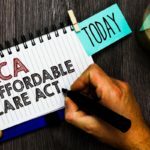 When the Patient Protection and Affordable Care Act (ACA) – often referred to as Obamacare – was passed in 2010, one of the key factors to ensuring the program’s success was the participation of millennials. As a rule, younger adults tend to be healthier and require fewer health care services. Their participation is needed to balance the health care costs incurred by enrollees who sign up for Obamacare and require more health care services. However, since its inception, Obamacare has struggled with enrolling these “young invincibles.” A 2016 study by the Centers for Disease Control (CDC) shows that adults between the ages of 25 to 34 are among the highest rate of uninsured in the U.S. And as the imbalance between sicker and healthier enrollees grows and premium rates for ACA-compliant plans rise, it becomes more challenging to enroll millennials in these plans. Taking the risk of having no health insurance coverage is a huge financial gamble. Instead, many young, healthy adults may find coverage they need (and can afford) with options such as short term health insurance, catastrophic medical coverage, or high deductible plans. Still, others might find it a good decision to stay on a parent’s health insurance coverage up until age 26. Whatever your situation, you’ll want to make sure you have some type of medical coverage so that an unexpected health care emergency doesn’t devastate your finances. Increasing numbers of health care shoppers between the ages of 20 – 34 are selecting short term health insurance coverage to meet their health care coverage needs for a variety of reasons. Inability to afford coverage is the number one reason cited by more than 45% of millennials who don’t plan on having insurance in 2017. Short term medical plans can cost up to 50% less than Obamacare plans. Duration of coverage – depending on your state of residence, you can choose coverage for as little as one month, up to the remainder of the year. Networks – visit the providers you want with no restrictions. Deductible options – choose the structure that best meets your health care and budget needs. Your time is valuable. No one wants to spend hours enrolling in health insurance coverage. In less time than it takes to walk into your favorite coffee shop and start sipping on your beverage, you can easily enroll in short term medical coverage from your phone, tablet or laptop. No wait, no hassles – it’s that easy. Is Short Term Medical Right for Me? For an alternative to a major medical plan, it’s hard to beat the affordability, flexibility, comprehensive coverage and ease of enrollment offered through short term medical coverage. Another health insurance option for millennials to consider is catastrophic medical coverage. As the reference to “catastrophe” implies, this type of coverage is designed to provide health insurance coverage for major medical emergencies. You have a low monthly premium for a catastrophic coverage plan with a high deductible. In compliance with ACA requirements, purchasing a catastrophic medical plan entitles you to certain preventive services, as well as three primary care visits per year, at no cost to you. You are then responsible for paying all other medical costs yourself until you have reached your annual deductible. Once you have met your deductible, the catastrophic plan will start paying benefits for covered health care costs that you incur. A catastrophic medical plan is the least expensive type of coverage you can purchase that complies with ACA regulations for providing essential health benefits. It is important to note that catastrophic coverage plans are sold only through private insurers (not on the health insurance exchange). Therefore, they are not eligible for subsidies. 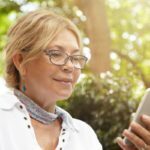 If you have a low annual income, you may qualify for premium tax credits or even cost-sharing reduction subsidies for plans purchased on the exchange. Should you qualify for subsidies, you may find that one of the less expensive Obamacare plans available on the exchange, such as a high deductible health plan, is a better financial decision for you. All health insurance plans sold through the exchange comply with ACA requirements. They are required to cover certain preventive services at no charge, and provide coverage for the same set of essential health benefits. The plans are divided into four “metal” coverage tiers: Bronze, Silver, Gold and Platinum. The differentiating feature among the tiers is the average percentage of covered health care costs paid by the insurance company. The greater the portion of costs paid by the insurance company, the higher your monthly premium. To help keep premiums lower, some of the plans are structured with a high deductible and are referred to as High Deductible Health Plans (HDHPs). You must meet the annual high deductible before the plan will pay its share of covered health care costs (except for the ACA-required preventive services; those are covered at no charge to you, regardless of whether you have met your annual deductible). Depending on the deductible amount, some HDHPs may be paired with a Health Savings Account (HSA). An HSA enables you to deposit tax-free dollars in a special account designated to pay for your out-of-pocket medical expenses. Participating in an HSA reduces your taxable income, which may qualify you for subsidies such as premium tax credits and even cost-sharing reductions. These subsidies help reduce your cost for your health insurance plan. Just as with a catastrophic coverage plan, when you have an HDHP, you will pay most of your out-of-pocket costs yourself. Your annual deductible may be as high as your annual out-of-pocket maximum. That’s why this type of plan is a more reasonable choice for someone who is generally healthy and needs relatively few health care services each year. A key difference between catastrophic coverage and high deductible health plans is the ability to purchase an HDHP on the health insurance exchange. Only plans purchased on the exchange are eligible for premium tax credits and cost-sharing reduction subsidies. In some cases, depending on the subsidies you receive, you may even be able to purchase a Silver high deductible health plan for a cost equivalent to what you would pay for a Bronze plan. One of the most popular features of Obamacare is the adult dependent coverage provision. Before the passage of the ACA, young adults were dropped from a parent’s health insurance coverage between ages 18 to 25, often based on their full-time student status. Now under Obamacare, these adults may choose to remain covered under a parent’s health insurance coverage until age 26. And that’s exactly what many young adults are doing. Although more than 80% of employees under age 26 are eligible to participate in employer-sponsored health care coverage, less than half of them enroll in those plans, says an ADP Research Institute report. Researchers believe that although these young employees value health insurance coverage, many find it challenging to afford. 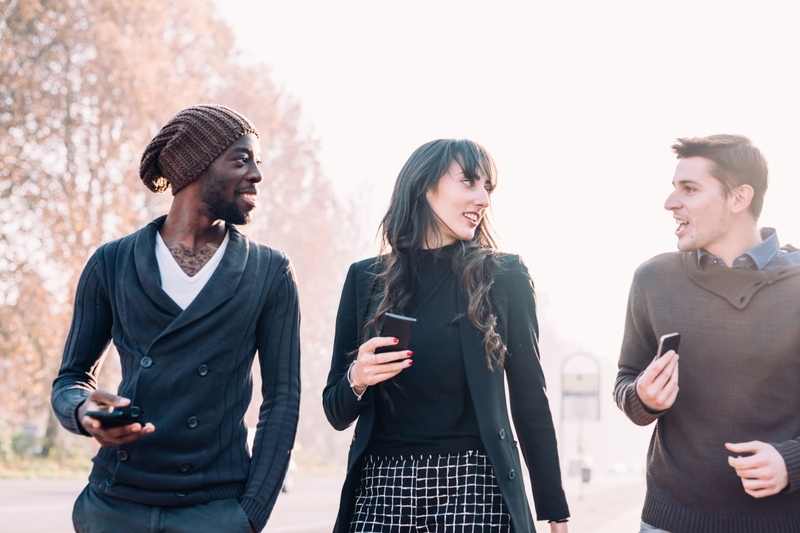 ADP research indicates that employees earning $15,000 – $20,000 spend an average of 9.5% of their annual income on health insurance premiums, which is a substantial amount for young adults just starting in their careers. If you’re under age 26 and find that premiums for your employer-sponsored coverage take a big bite out of your income, it might be a good idea to consider staying on your parent’s plan. By splitting the premium for family coverage among three or four family members, your portion might be lower than your cost for individual coverage. There also might be tax benefits for your parents if they keep you on their coverage. Parents are usually in a higher income bracket than their young adult children who are at the start of their careers. By paying for the health insurance coverage, your parents may get a tax break, making insurance costs less expensive overall. Before you decide to stay on your parent’s plan, though, keep a few considerations in mind. First, if you don’t live with your parents or near them, make sure you are able to find health care providers near you that participate in your parent’s covered network. And second, is privacy about your medical visits important to you? 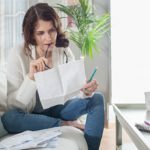 Explanation of Benefits (EOB) statements and medical bills are typically sent to the attention of the primary insured – in this case, your parents. Even if you’re just starting out, it is important to your financial security to have health insurance coverage. You don’t have to spend a lot of money to ensure that you are protected in case of a serious medical emergency, and should you experience a health care crisis, you will be glad you invested in coverage for yourself. Call or message us today to find an insurance plan that fits you perfectly.